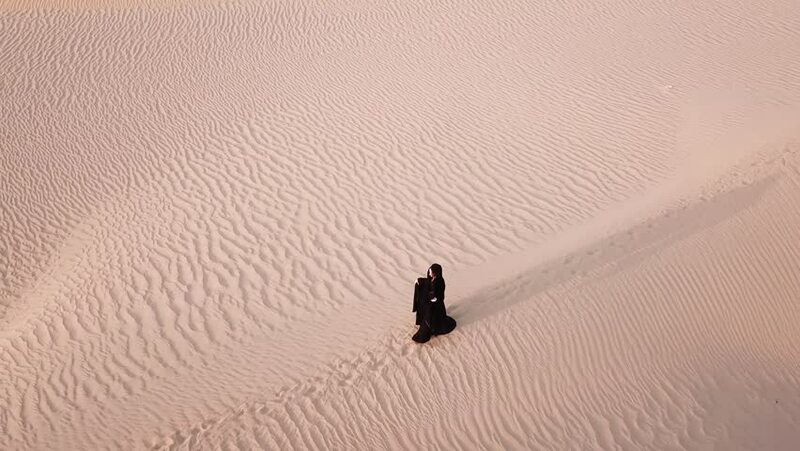 Aerial view from a drone flying above a woman in abaya (United Arab Emirates traditional dress) walking on the dunes in the desert. Dubai, UAE. 4k00:13Nikolaev, Ukraine - September 29, 2017:An amazing bird`s eye shot from a very high flying drone. A modern combine harvester gathers sunflower on a sunny day in summer. The skyscape looks light blue. 4k00:26SLOW MOTION: Pro rider surfing cool ocean waves to remote beach in the morning. Large breaking waves being carved by extreme surfer on fun surfboard in yellow lit sunset. Colorful seaside nightfall.